Mike Ashley will personally oversee a review of warehouse working conditions after they were raised in Parliament. You’d be forgiven for thinking that Sports Direct wasn’t really fussed about how it’s perceived by non-customers. But apparently this is a company that listens to criticism. Following an undercover Guardian investigation into conditions at the firm’s Shirebrook warehouse, its founder, majority shareholder and ‘Executive Deputy Chairman’ Mike Ashley will personally oversee a review of agency worker terms and conditions. If the sight of renowned HR guru Ashley prowling the warehouse with his clipboard and inspection rod isn’t enough to solve the problem, it’s hard to know what would. On the other hand, there may not be a problem at all. 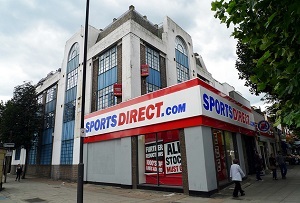 Sports Direct issued a statement today refuting at length the ‘unfounded’ allegations that its warehouse resembled a Dickensian workhouse. ‘The warehouse tannoy is not used to "harangue" or "name and shame" staff,’ the firm said, but for ‘logistical reasons’. The company ‘does not penalise its staff for being ill’ either, merely applying sanctions if workers don’t follow the ‘reasonable sickness absence notification procedures, which are in line with industry best practice’. Sports Direct confirmed that random searches are routine for all staff leaving the warehouse, from agency workers through to executive management and board members (MT pities the poor security guard who decides to randomly search Mike Ashley...), but didn’t comment on the suggestion that this mean workers are sometimes being paid less than the minimum wage. Warehouse staff meanwhile aren’t ranked by name (they are ranked anonymously), aren’t on zero hour contracts (even though ‘all parties appreciate the flexibility provided by these contracts’ in retail stores) and can take time off to look after sick children (thanks?). Sports Direct even has an anonymous hotline for staff to make complaints ‘with no risk of reprisal’. The company didn’t mention whether Ashley is overseeing that personally too. Well everything’s hunky-dory then. One might wonder though why Sports Direct has suddenly taken this step to salvage its reputation. The answer could have something to do with the 20% share price plunge it’s experienced in the last couple of weeks over the bad publicity, but it’s just as likely to be connected to the discussion held in Parliament on the matter. Nick Boles, a government minister no less, said there could be sanctions against the company if it was indeed failing to meet minimum wage requirements, though he added there was no evidence so far that it was. His warning that HMRC ‘will be listening to this debate’ was presumably heard loud and clear in Shirebrook. No one wants the tax man sniffing around, after all, whether there's a problem or not. Unfortunately, Ashley’s review is unlikely to assuage many of Sports Direct’s detractors, who would surely want to see an independent review. Perhaps newly out of work Jose Mourinho would be up for the job, though there’s always the risk he would just blame the workers for not frisking themselves. Still, got to start somewhere, eh.